In addition to running her shop, Nancy caters private and corporate events. Attractive boards, knives, labels, and tasting notes are provided. Prices vary depending on cheeses and accompaniments selected and the amount of each required. Accompaniments include breads, crackers, fruit spreads. There is a $10-$25 service charge + cost of cheese and accompaniments plus HST. It’s rare but when possible, we deliver. Delivery is extra. Minimum order for delivery $100. Payment: 30% deposit on day ordered (non refundable) remaining 70% due on day of event. Rental of Boards and Knives – $100 deposit to be refunded upon return of rented items within 3 days of the event. After 3 days, late fees will apply and $20 a day will be from the deposit. 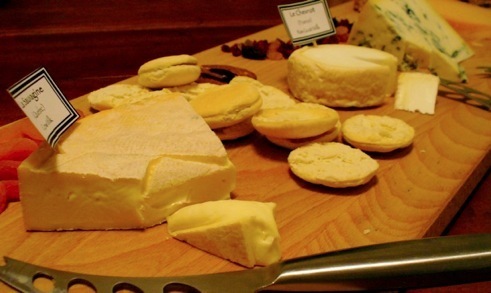 Approximate cheese cost $90 – Crackers, bread, almonds – Provided: cheese boards, knives, labels, tasting notes.